Sadly, no plans for Western release have been announced. Thought a Ni no Kuni animated movie was a common sense idea? So did developer Level 5, and as reported by Anime News Network, they’ve teamed up with Warner Bros. Japan and animation studio OLM (who’ve produced the countless Pokémon films) to make that dream a reality this summer. While fans may be disappointed Studio Ghibli — the legendary Japanese animation studio that provided character designs and animated cutscenes for the game series — didn’t handle the film’s production, two key Ghibli figures involved with both Ni no Kuni games are participating: Yoshiyuki Momose (Only Yesterday storyboarder/Ni no Kuni animation director) as director, and Joe Hisaishi (Spirited Away/Ni no Kuni music) as composer. Level 5 CEO Akihiro Hino is also reprising his role as scriptwriter/executive producer. As seen above, this Ni no Kuni movie won’t retell the adventures of Oliver or King Evan, but instead follows a new protagonist named Yu. 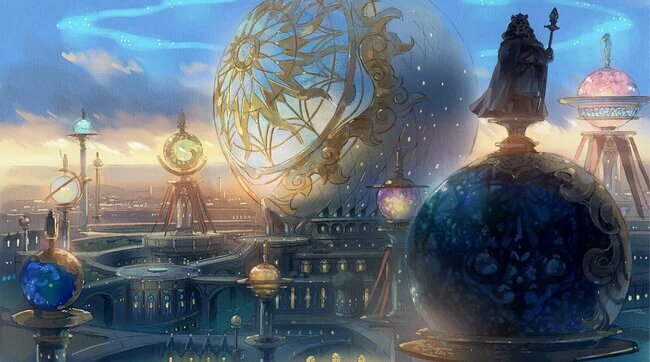 Alongside his best friend Haru and childhood friend Kotona, the trio warps back and forth between their world and Ni no Kuni, and must make “the ultimate choice” upon Kotona’s life-threatening peril. Kento Yamazaki, who played the eccentric L in the Japanese live-action Death Note film, will voice Yu. Do you think this Ni no Kuni movie will do the JRPG games justice? Will it ever leave Japan? Let us know in the comments below!